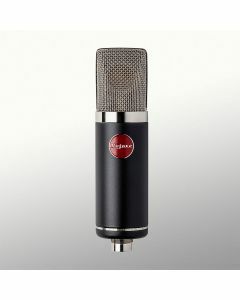 The MA-50 is the perfect microphone for pros and semi-pros alike. Utilizing the same capsule as the MA-200 and MA-201fet, it handles the fastest transients with ease; even up to 140 dB. The challenge? Create a transformerless microphone circuit without the inherent problems found in transformerless microphones. Technical Grammy award winning microphone designer David Royer has created a thoroughly modern microphone that rises to that challenge: the new MA-50. Designed to produce the clarity and realism that Mojave microphones are known for - at an entry level price - the MA-50 out performs well-known transformerless mics costing many times more. The MA-50 is the perfect microphone for pros and semi-pros alike. Utilizing the same capsule as the MA-200 and MA-201fet, it handles the fastest transients with ease - even up to 140 dB.